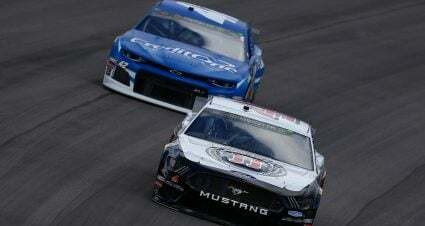 Whether it’s behind the steering wheel or on foot, seven-time Monster Energy NASCAR Cup Series champion Jimmie Johnson is always looking for a race to run — this time it’s the 2019 Boston Marathon. 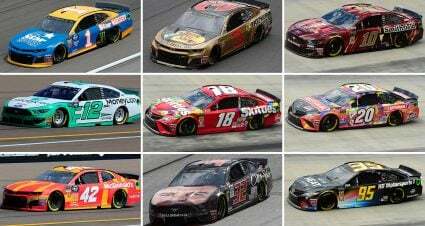 After competing in the Daytona Half Marathon on Sunday morning prior to Daytona 500 Busch Pole Qualifying and his victory in the Advance Auto Parts Clash, Johnson announced he will compete in the 26.2-mile race on April 15. 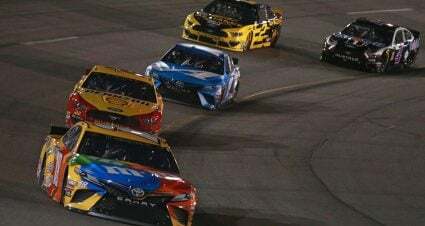 The race takes place just two days after the Toyota Owners 400 at Richmond Raceway on April 13, which allows Johnson a full day of recovery following the Saturday night event. An avid runner and fitness advocate, Johnson has become a significant influence on many others throughout the garage to pay more attention to their physical health. After competing in multiple half marathons, this new endeavor will be his first full marathon, one he’s had on his radar for quite some time after the 2013 bombing that prompted the “Boston Strong” movement. “Watching the Boston Marathon the year of the bombing (in 2013), something clicked about me wanting to run that race, and once the bombing happened, I wanted to be part of ‘Boston Strong,’ ” Johnson told Dave Burns during the debut of the Splash and Go segment for NBCSports.com. 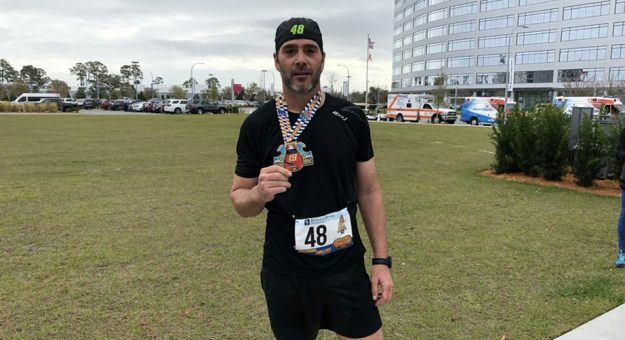 Johnson finished 14th place overall in the 13.1-mile race in Daytona and won his age group with a time of 1 hour and 33 minutes.